LOS ANGELES — Whether it is defenseman Aaron Ekblad of the Barrie Colts (Ontario Hockey League), center Samuel Bennett of the Kingston Frontenacs (OHL), center Sam Reinhart of the Kootenay Ice (Western Hockey League), or center Leon Draisaitl of the Prince Albert Raiders (WHL) who winds up as the first overall selection in the 2014 National Hockey League Draft, unless some way-out-of-left-field trade happens, the Los Angeles Kings will not be adding that player to the fold, or any of the top prospects, for that matter. Indeed, that is the price of success. After winning the Stanley Cup on June 13, the Kings move all the way down to 29th in the first round of the thirty-team draft. The only reason they did not move to 30th is because of the sanctions handed down to the New Jersey Devils for salary cap circumvention when they signed forward Ilya Kovalchuk—the Devils will pick last in the first round instead of 11th. The Kings are one of five teams with nine picks in the 2014 NHL Draft. The Columbus Blue Jackets received the 63rd overall selection (third round) from the Kings, who acquired the pick from the Edmonton Oilers on January 15, 2014, in exchange for goaltender Ben Scrivens. In the sixth round, the Kings’ 157th overall pick was part of the trade that sent right wing Kevin Westgarth to the Hurricanes on January 13, 2013, in exchange for forward Anthony Stewart, a fourth round selection in the 2013 NHL Draft, and a sixth round pick in the 2014 NHL Draft (this pick). The Kings received a seventh round pick (209th) in the 2014 NHL Draft from the Rangers in exchange for forward Daniel Carcillo on January 4, 2014. As reported earlier, with their first pick not until the tail end of the first round, unless President/General Manager Dean Lombardi has his sights set on someone and trades up to get that player, which is considered unlikely, the Kings are already out of the running for the top prospects available in this year’s draft. However, picking so late in the first round did not stop the Kings from landing left wing Tanner Pearson with the 30th overall selection (first round) in the 2012 NHL Draft. He quickly moved up the depth chart and was a significant contributor to the Kings’ run to the 2014 Stanley Cup Championship. Indeed, in eight draft classes, Lombardi and his amateur scouting staff have found five diamonds in the rough. That is an extraordinary accomplishment that says a great deal about their drafting and development, and even more about why the Kings have won the Stanley Cup twice in the last three seasons. In short, Lombardi and his amateur scouts have enjoyed tremendous success at the draft and in their subsequent development of their young prospects. But who do they have their eyes on for the 2014 NHL Draft? One thing you can forget about immediately is drafting based on need. Indeed, Lombardi has established a track record of selecting the best player available, regardless of position, when their time on the clock comes around, and if the situation presents itself, he might even make a deal to move lower in the draft if he believes that the player they want will still be available. That way, he can stockpile more draft picks and maybe even move them into the 2015 NHL Draft. That said, the big question is: Who will the Kings select with the 29th overall pick in the first round? Roland McKeown, defenseman; 6-1, 192 pounds. Right shot. Kingston Frontenacs, OHL. Vladislav Kamenev, center; 6-0, 185 pounds Left shot. Magnitogorsk, Russian Junior League. Ryan MacInnis, left wing; 6-3, 185 pounds. Kitchener Rangers, OHL. Conner Bleackley, center/right wing; 6-0, 197 pounds, right shot. Red Deer Rebels, WHL. Thatcher Demko, goaltender; 6-3, 192 pounds, Boston College, Hockey East. John Quenneville, center; 6-1, 195 pounds. Brandon Wheat Kings, WHL. Brandon Lemieux, left wing; 6-1, 209 pounds. Barrie Colts, OHL. Alex Nedeljkovic, goaltender; 6-0, 184 pounds. Plymouth Whalers, OHL. Of course, Lombardi also has a reputation of being quite the maverick at the NHL Draft, and could go way off the board at any time, selecting a prospect that no one expects, something he has done several times since joining the Kings. 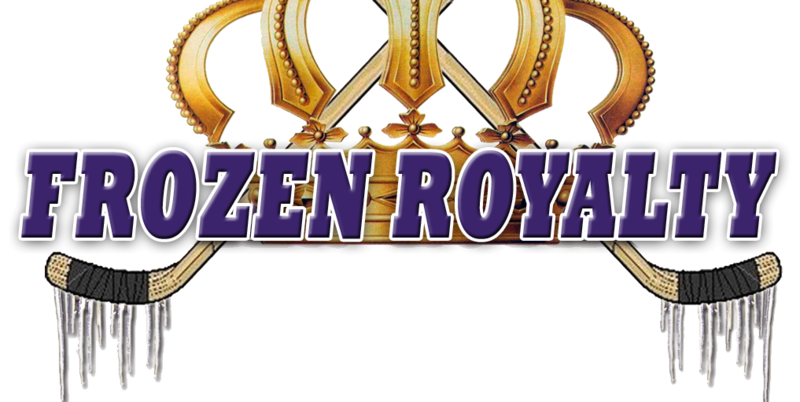 Frozen Royalty will have a wrap-up of the first round, along with comments from either Lombardi or perhaps Mike Futa or Mark Yanetti, on what the Kings did at the draft table tonight or early Saturday morning.